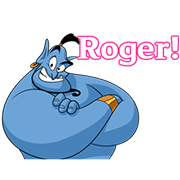 http://www.line-stickers.com/ – Genie Sound & Animated Stickers Line Sticker | Aladdin’s Genie stars in this voiced and animated sticker set featuring classic lines from the film! When tapped, these stickers will play on iPhones even in silent mode. 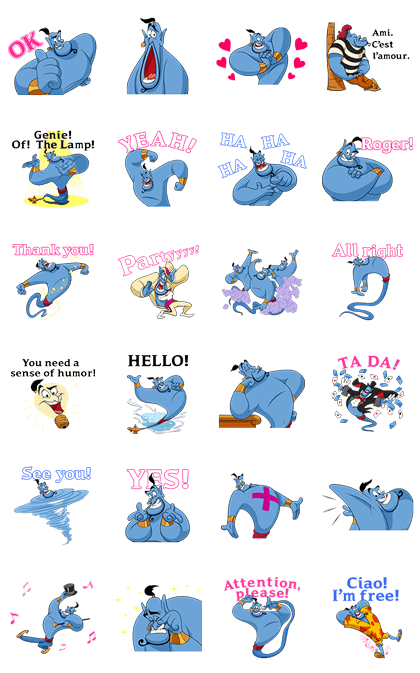 Genie from Aladdin springs to life in this animated sticker set. Liven up the conversation with gestures and poses straight from the movie!